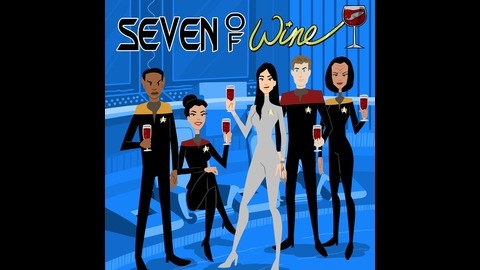 Get ready as hosts Jacqueline Lopez and Jennifer Zhang review an episode of STAR TREK: VOYAGER and a bottle of wine at the exact same time. Set phasers to fun! Part of the Geekscape Network. In their most controversial episode, hosts Jacqueline Lopez and Jennifer Zhang take on the most controversial episode of STAR TREK: VOYAGER, “Retrospect”! When on-board borg Seven of Nine gets triggered during a trade negotiation, Janeway and the Voyager crew find themselves face to face with a case of assault. Join us as we unpack this episode and see how the Star Trek writer’s room dealt with the subject of #metoo in 1998. It’s a timely sandwich with a side of conversation you don’t want to miss! You know what’s not controversial? A little inbox love from you! Hit us up at: engage@sevenofwine.com. Seven of Wine - Episode 021: The Q and the Grey "But First...COSPLAY!" 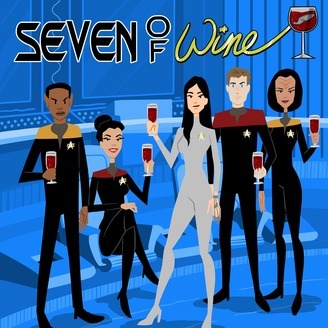 Seven Of Wine - Episode 019: Sacred Ground “Captain to Bridge: Namaste"